2017-18 Symphonic, Concert & Advanced Jazz Bands all Make State! Congratulations to our Symphonic, Concert and Advanced Jazz Bands. All three were selected for their respective State Junior High Band Festivals! Mountain Ridge is one of only four schools in the state to have three bands qualify. Congratulations Huskies! MRJH Band MEMBERS make 2018 All-State! Congratulations to the following MRJH Band students who performed with the first ever Utah Junior High All-State Band/Orchestra. What an amazing performance at Abravenal Hall! Symphonic Band Superior at 2017 BYU Band Festival! Advanced Jazz Superior at State! The Advanced Jazz Ensemble received Straight Superior Ratings at the first ever State Junior High Jazz Festival. One judge even gave them a I+ (Superior+) rating which is very rare and not usually given. Symphonic, Concert & Advanced Jazz Bands all Make State! Congratulations to our Symphonic, Concert and Advanced Jazz Bands. All three were selected for their respective State Junior High Band Festivals! Mountain Ridge is one of only three schools in the state to have three bands qualify. Congratulations Huskies! MRJH Band Alumni make 2017 All-State! Congratulations to the following who made the All-State Band/Orchestra this year! They performed an amazing concert at Abravanel Hall. LP & AF Marching Bands Take State! Congratulations to our 9th graders who participated in the LPHS and AFHS Marching Bands this season. Lone Peak took first place in the State 3A Division and American Fork took first place in the State 5A Division. AF also won the Bands of America Western Regional Championship for the fifth year in a row! The MRJH Symphonic Band was recognized as one of five junior high bands to receive the Sweepstakes Award at the 2015 State Jr. High Band Festival. Bands receiving the award must receive straight superior ratings for their performance and a superior rating for sight reading. Congratulations Huskies! Jazz Ensembles Superior at District! Friday, the Mountain Ridge Intermediate and Advanced Jazz Ensembles performed at the Alpine District Jazz Festival. Both bands performed well and received Superior Ratings. Congratulations Huskies! Also, a special thank you to all the parents, family and friends who came to hear us. Your support was greatly appreciated! _The MRJH Symphonic Band was selected once again as one of the top junior high bands to participate in the State Junior High Band Festival. This was the second largest pool of applicants the festival has had in the history of the event. For nearly five hours, the selection committee listened and then re-listened to all of the applications. The selection process is blind, meaning the judges do not know any of the band names, only numbers that have been pre-assigned. Mountain Ridge is one of only three bands to have been selected for this prestigious event all nine years. Congratulations Huskies! We had a great solo/ensemble night. It was fun to hear everyone perform. 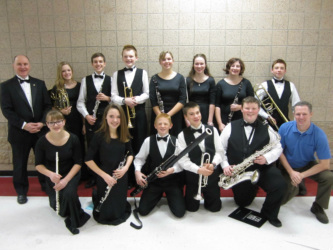 MRJH Students Perform in 2014-15 ASD Honor Band! MRJH Band Alumni make 2015 All-State! The MRJH Symphonic Band was recognized as one of four junior high bands to receive the Sweepstakes Award at the 2014 State Jr. High Band Festival. Bands receiving the award must receive straight superior ratings for their performance and a superior rating for sight reading. Congratulations Huskies! Concert Band gets Perfect Score at District! Our Concert Band received straight superior ratings at the District Intermediate Band festival and for the second year in a row, a perfect score of 35/35 from one of the judges. This band is playing really well and has a bright future ahead of it for next year. Congratulations!!! 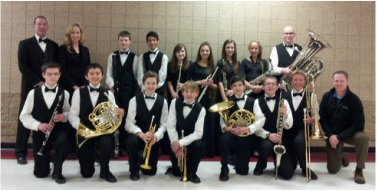 MRJH Students Perform in ASD Honor Band! Click here to see more photos from the District Honor Band. MRJH Alumni make All-State Band! Congratulations to the following who made All-State this year! They performed an amazing concert at Abravanel Hall. Symphonic Band Scores Straight Superiors! This has been a great year for our Symphonic Band. 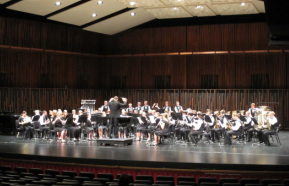 The band scored straight superiors at each of its festivals including the State Junior High Band Festival, the BYU Invitational Festival and the District Advanced Band Festival. Congratulations Huskies! Our Concert Band received straight superior ratings at the District Intermediate Band festival including a perfect 35/35 from one of the judges. This band is playing really well and has a bright future ahead of it for next year. Congratulations!!! Mountain Ridge Places 1st at Peaks! Congratulations to our Jazz Ensembles at Mountain Ridge. On Friday, the Advanced Jazz Ensemble took 1st place at the Peaks Jazz Festival in the Junior High Division and our Jazz Combo placed 1st in the Combo event. Outstanding soloist awards also went to Christian Stone (trombone in both bands) and Talmage Porter (flute). An added bonus was performing for Victor Lopez who wrote the Latin charts performed by both the Intermediate and Advanced Jazz Ensembles. It was a great festival and our students performed very well. Congratulations to all of them. _The MRJH Symphonic Band was selected once again as one of the top junior high bands to participate in the State Junior High Band Festival. Fifteen bands were accepted to the festival which will be held at the U of U on March 14th. Congratulations Huskies! 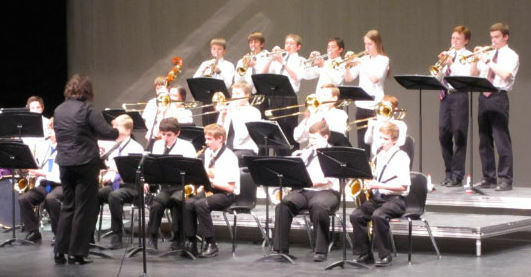 Recently, the Mountain Ridge Intermediate and Advanced Jazz Ensembles performed at the Alpine District Jazz Festival. Both bands performed well and received straight Superior Ratings. Congratulations Huskies! Congratulations to the following who made All-State this year! They performed an amazing concert at Abravanel Hall with guest conductor, clinician and highly regarded composer Sam Hazo. MRJH Alumni make All-State Jazz! Congratulations to the following who made the All-State Jazz Band this year! 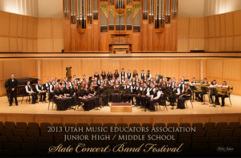 They will perform in St. George for the Utah Music Educators Conference in February. Symphonic Band receives Superior Ratings! 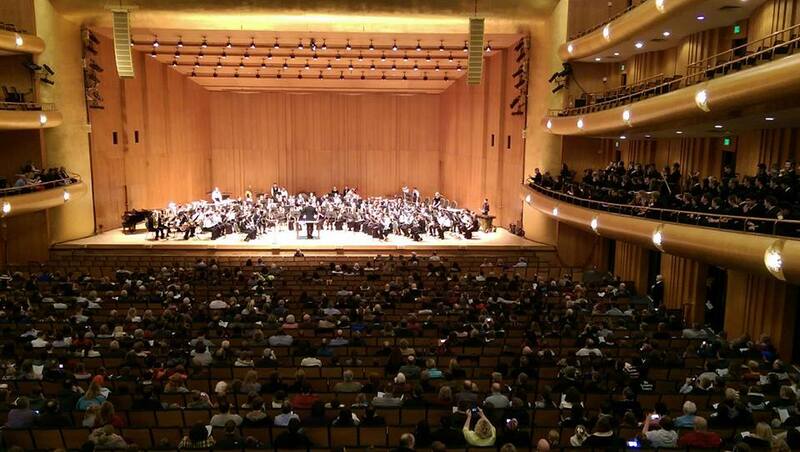 The MRJH Symphonic Band came away with straight Superior Ratings at the BYU Band Festival. Judges scored the band in Box 5 (the highest) in 5 out of 7 categories for a total of 33/35 points from one judge and 33.5/35 points from the other. After their performance, the band had an amazing clinic with John Carnahan where he was able to help them take their music to the next level in preparation for the State Jr. High Band Festival. Special thanks goes to Mike Larsen for helping us transport our larger instruments. The Intermediate Jazz Ensemble was recently named the Outstanding Big Band and placed first in their division at the Peaks Jazz Festival. Jazz Ensembles receive Superior Ratings! Both the Intermediate and Advanced Jazz Ensembles recently received straight Superior Ratings at the Alpine District Jazz Festival. Students were able to hear other schools perform and received a clinic by the adjudicators after their performance. Click here for more Jazz Festival pictures. The MRJH Symphonic Band performed with GOing 2nd at the Honor's Assembly April 20th. Going Second's website says that they use Music as a strong motivational tool that moves people toward positive change. They are dedicated to inspiring and empowering teens to become involved with music, continue their education, and live a drug-free life. 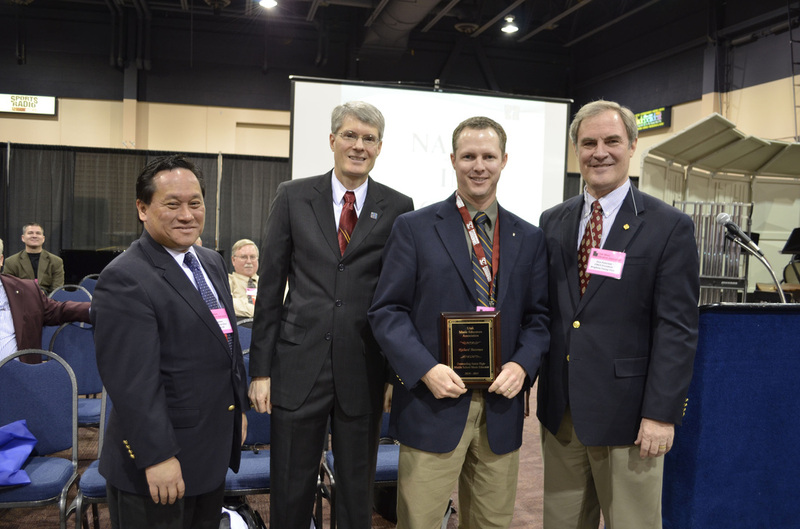 Mr. Bateman was recently recognized as the "Outstanding Junior High Music Teacher of the Year" by the Utah Music Educators Association. UMEA states that this honor is "awarded to a junior high/middle school music teacher who has consistently demonstrated distinct, commendable achievement and service to students and to the profession." Mr. Bateman was recently elected by his peers to the Utah Music Educator's Executive Board as the Vice President over Jr. High and Middle School Music. In this position, he will represent Junior High & Middle School music teachers throughout the state and be involved with planning professional development, collaboration and state festivals. 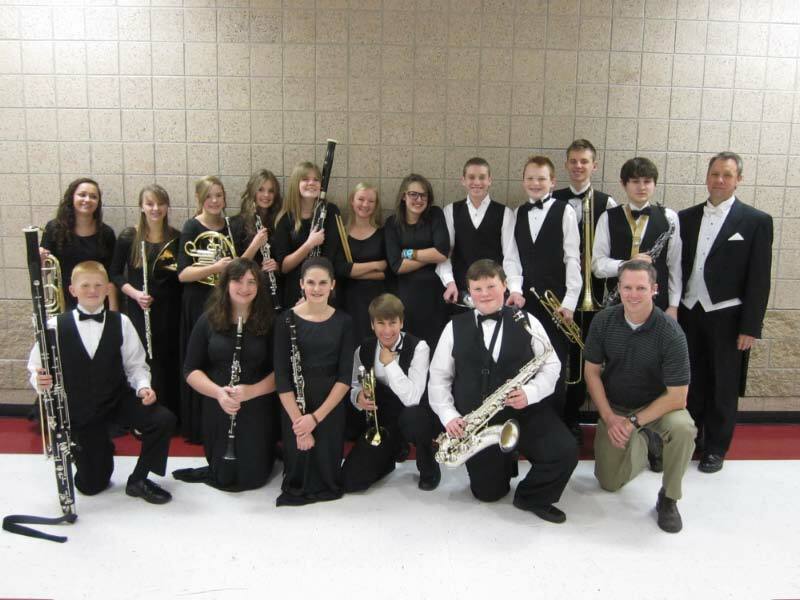 Symphonic Band Invited to 6th Annual State Jr. High Band Festival! The MRJH Symphonic Band was selected once again as one of the top junior high bands to participate in the State Junior High Band Festival. 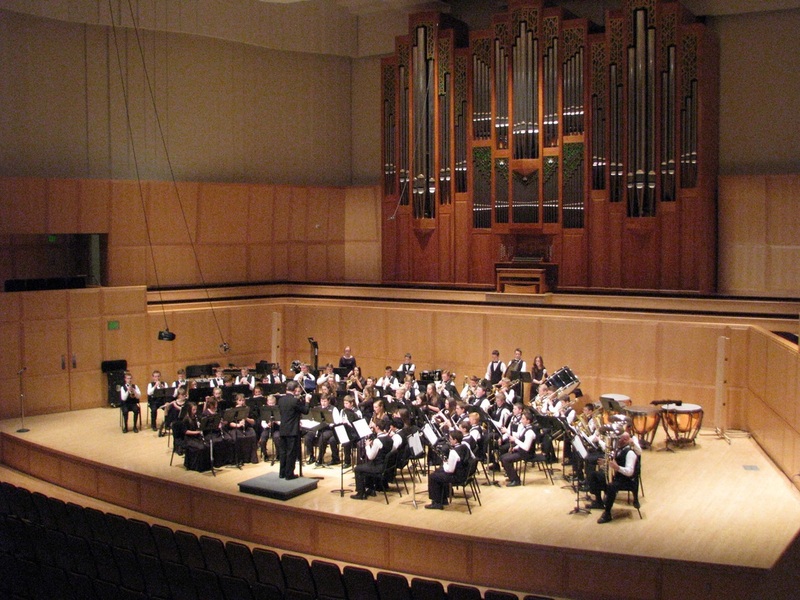 Fifteen bands were accepted to the festival which will be held at the U of U on March 15th. Mountain Ridge is one of only three junior highs to make it all six years in a row. Bands were blindly auditioned by highly acclaimed adjudicators from around the state. Congratulations Huskies! 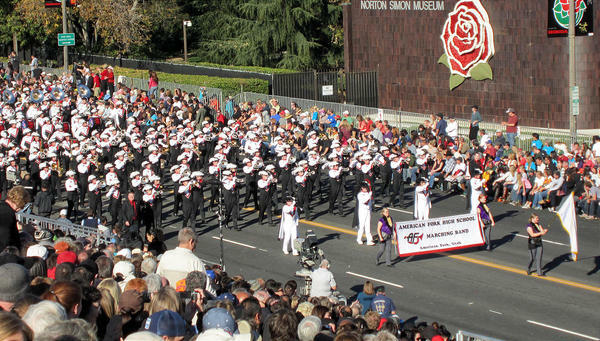 MRJH Band Students March in Rose Parade! Congratulations to the following MRJH Band Students who marched in the 2012 Rose Parade with the AFHS Marching Band! Congratulations to the following who made All-State this year! 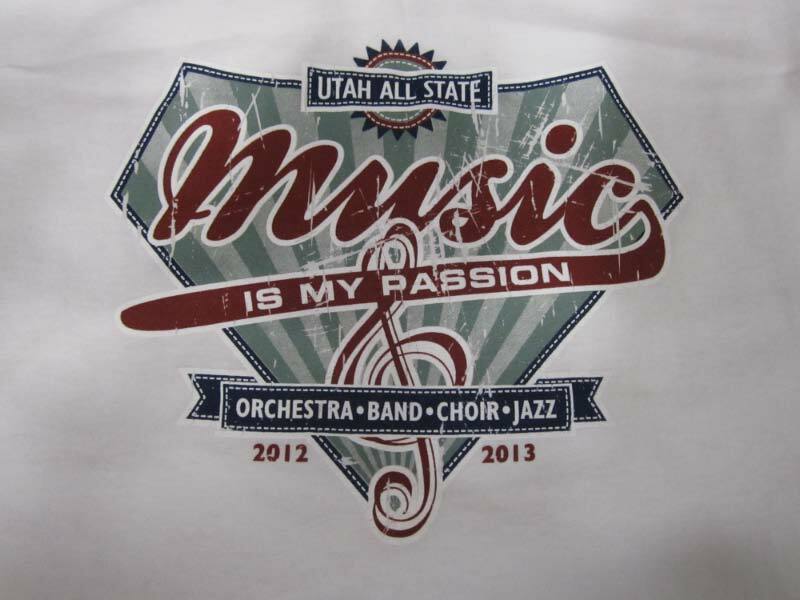 The Utah Music Education Association announced its selections for the 2011-2012 All-State Bands & Orchestra. Hundreds of students grades 9-12 auditioned from four sites across the state. Three students from MRJH were selected for the USU Tri-State Honor Band. Students must be in the 9th to 12th grades to be nominated. This will be a great experience for our students. They will have the opportunity of performing alongside some of the best players from Utah, Idaho and Wyoming. 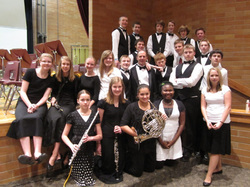 Many of our students who have been a part of this group have gone on to make the All-State Band later in High School. Congratulations! Congratulations to our 9th graders who participated in the LPHS and AFHS Marching Bands this season. Lone Peak took first place in the State 3A Division and American Fork took first place in the State 5A Division.